How do I care for my Phalaenopsis orchid? While still flowering, keep the sphagnum moss mostly moist by soaking but allow it dry between waterings. 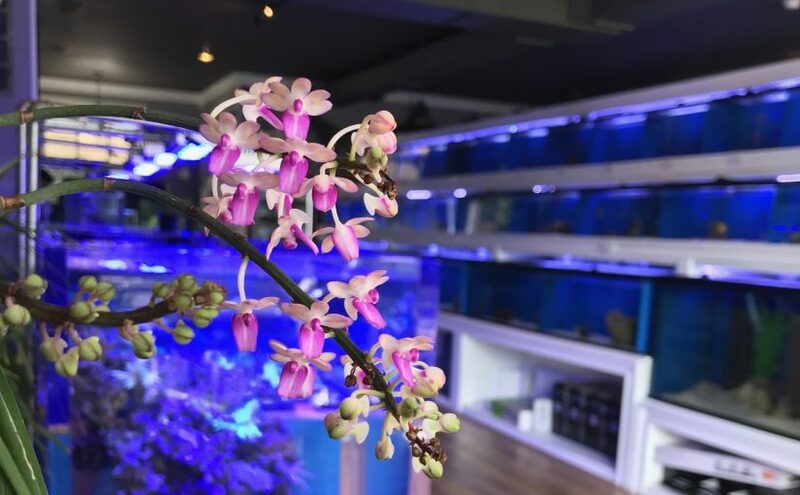 Fully bloomed plants only need water every 10 to 14 days. These indoor plants need bright light while avoiding direct sun. The temperature should be between 55°F and 85°F. 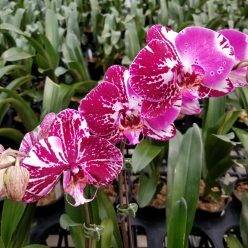 We do not recommend watering orchids with ice. Yes. Please contact staff for wholesale prices & requirements. At this time, we do not do retail delivery with the exception of large orders. Call us at (914) 948-2064 for more details. 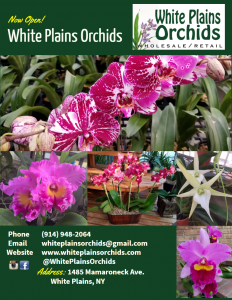 I want to purchase orchids for a present. Do you sell gift accessories? Yes, we have a selection of pots, wrapping paper, ribbons, etc. for arrangements. We also have bamboo stakes and decorative moss (see the photos on our blog/gallery for examples). Our staff can help you put together the perfect arrangement. 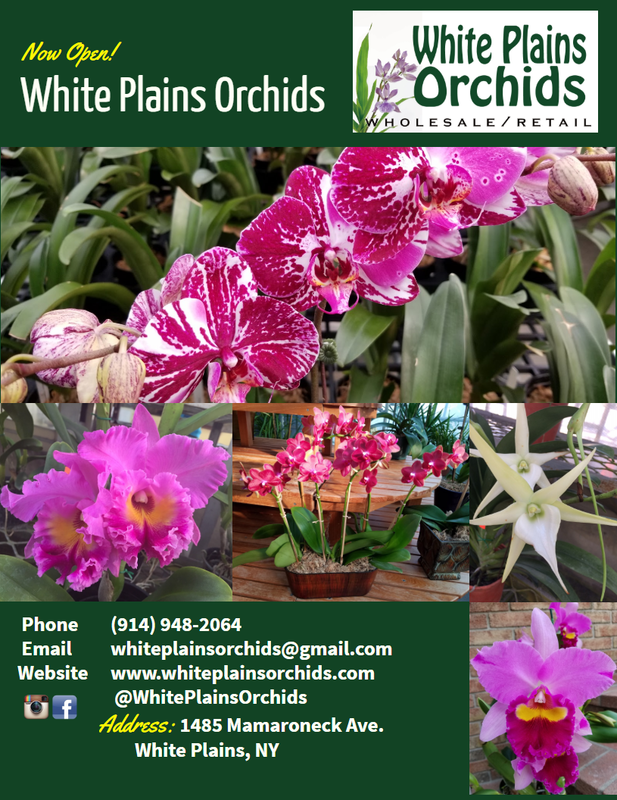 Can I get my plants repotted at White Plains Orchids? Please note that the greenhouse is a high maintenance environment. We do not allow outside plants or potting media. No returns or exchanges.